Alzheimer’s is a neurodegenerative disease that affects the elderly and, unfortunately, we don’t yet know how to cure it or even lessen the symptoms. It can be particularly trying for parents to explain to their young children what is wrong with their grandpa or grandma. Some children, especially the very young, don’t notice a change in their grandparents’ behavior, or just accept the simple explanation of forgetfulness. However, older children might not be so easily satisfied, and it’s best to talk to them in an open and age-appropriate way. 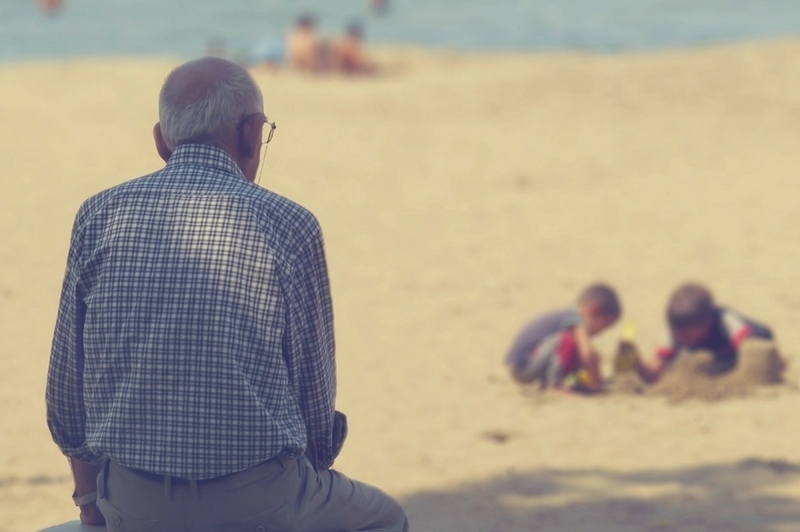 There is no need to isolate your kids from their grandparents – both can benefit from the relationship. Here are some ways to handle the situation. 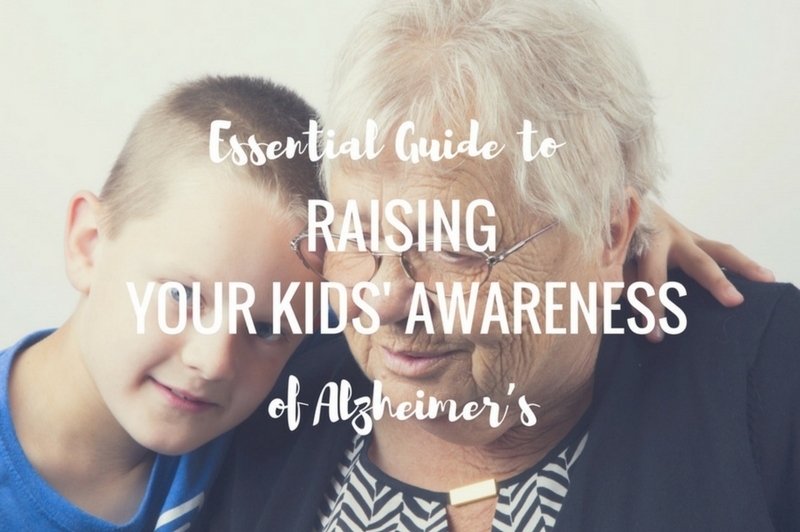 Once a grandparent starts showing symptoms of dementia or Alzheimer’s, your children will probably ask questions. It’s good to be prepared for them, and have a strategy on how to handle the conversation. Answer the questions truthfully, in terms the kids can understand. Also, let your kids know that their feelings are valid. It’s okay to be sad, worried, or even angry. Let them express their feelings freely, acknowledge them, and offer your support. The little ones might not be sure how to behave in this new reality. The best thing you can do is lead by example. 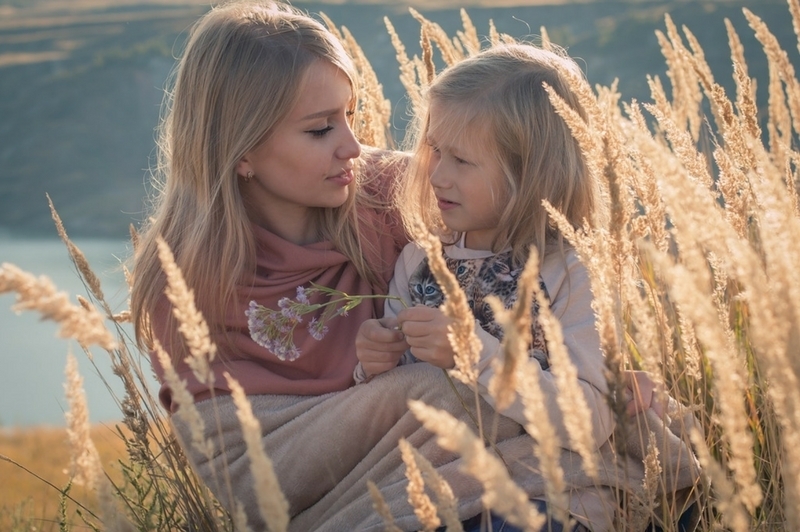 There are many successful strategies in helping your kids cope with these changes, and you should find the ones that work best for you and your family. Reading is a great tool in more ways than one. First of all, it’s an excellent way to clarify the situation for your children and help them accept it. There are plenty of books and resources on life when a family member is affected by Alzheimer’s, for every age. The US National Institute on Aging has a great list of titles that present Alzheimer’s in a way that’s easy for children to understand. 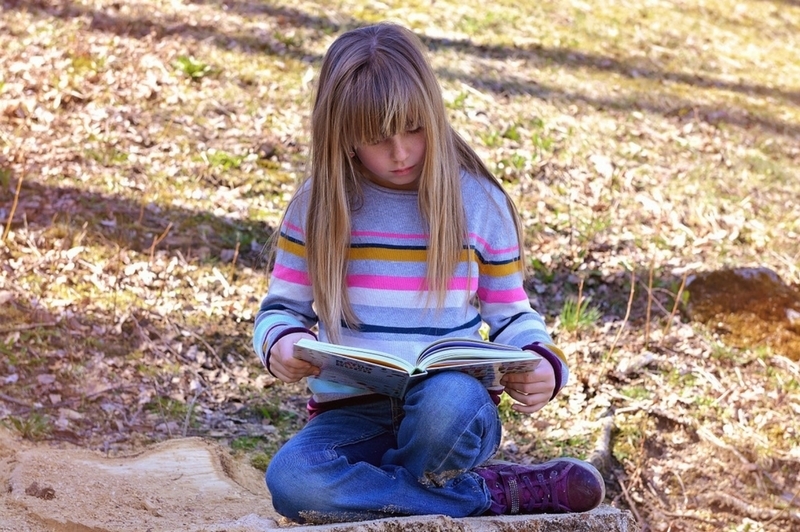 Another way that books can be useful is that they can be a great source of bonding for kids and their aging grandparents. Reading books, magazines or newspapers together is a lovely way of giving structure to the time they spend together. There is no reason whatsoever why an affected grandparent shouldn’t be involved in family activities. In fact, being part of the family is beneficial to them. Be sure to include them as much as it’s viable. Kids and older people usually get along great. Children have a rejuvenating effect on their grandparents, and it is, in turn, rewarded with affection and patience. 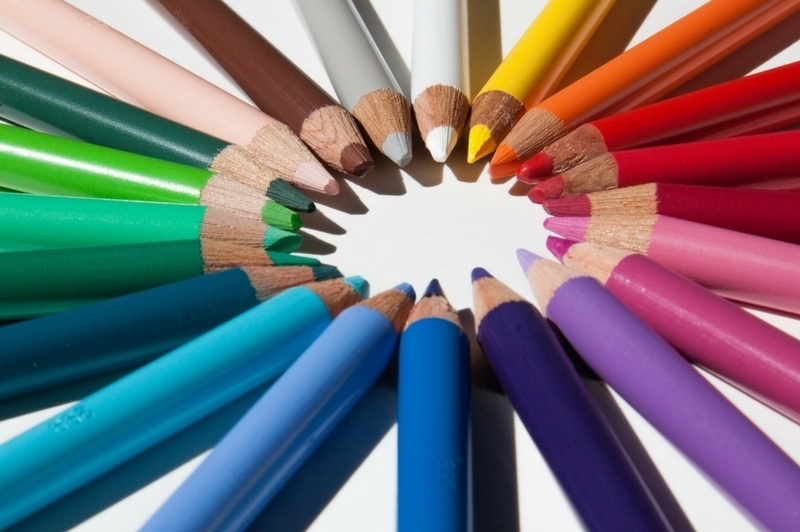 One activity that is especially beneficial is art. Kids love art, and there has been significant research into the therapeutic powers of color on the older population, particularly those affected by dementia. Artistic activities are also great because they are easy to do, don’t require leaving the home or much organization, and are simple enough for anyone to grasp. Just gather some art supplies, like permanent markers, colorful paper, glitter or watercolors, and let your parents and your kids enjoy the time they spend together. Being outside is great for everyone. It boosts your health and mood, provides necessary vitamin D, and has an overall positive effect on our lives. While you shouldn’t plan ambitious activities, like a camping trip, a portion of the time your kids spend with their grandparents should be spent outside. If you have a yard or a garden, it gives you the perfect opportunity. You can give them less demanding chores to do together, like raking leaves or gardening. If that’s not an option, take the time to go for walks in nature together, as a family. A trip to the botanical gardens or other beautiful and soothing places is also encouraged. And when it’s too cold to go outside, rely on music to lighten the mood. Caring for a person suffering from Alzheimer’s has many challenges, especially when you add kids to the mix. The essential thing is to be flexible, and take the time to find out what works best for you and your family. Today’s post was written by a guest writer by the name of Zara Lewis (@ZaraELewis). Zara is a mom, fitness & yoga enthusiast, caregiver to her mother-in-law and a regular writer for High Style Life. She is devoted to implementing healthy life habits in every aspect of her life and that of her family and friends. She loves to share her parenting tips and is always open to learning some new skills because she sees her parenthood as going to school forever. She enjoys traveling, hiking, cycling, and baking. This was one of the hardest parts with mother in law. The boys were in their early teens and had a hard time with what was going on. Luckily they were able to spend a lot of time with her over the years, and I know they both enjoyed it. We often don’t realize how much our children are affected by watching a loved one suffer from Alzheimer’s. I would imagine that it is terrifying at times and just plain confusing at others. Talking openly is the key I think. Thank you, Meredith! I am so happy that you are enjoying TDAC! Be sure to check out all of the resources available in our resource library! As always on this blog, this post is full of information, helpful hints and compassion. Thank you Karen! I always appreciate your support! Great tips. It can be difficult when the loved one is at a nursing home. Visiting my Mom in a big room with other people, some are disruptive. I have been scared a bit after getting a pillow thrown at me and slapped with a magazine! We now move Mom to a smaller quiet room when we have the kids. Also many women want to hold the baby and well that isn’t going to happen so with babies and little ones it is better to visit more privately. Haralee recently posted…Upcycling Cowboy Shirts to Aprons, Yee-Ha! I can only imagine Haralee. I don’t think mom or the kids would be okay in that kind of environment. It must be scary for the little ones. Thank you Jo-Anne! I am so happy that you find them useful! I hope you’ve subscribed to get access to the resource library!